The bronze bust of the world famous Hungarian doctor was placed at the entrance of the main clinic building of the University of Maribor, made by sculptor Iván Paulikovics. The sculpture was given to Alma Mater Europaea’s centre in Maribor in the framework of the 2018 Semmelweis Memorial Year. The bronze statue unveiled on Wednesday is part of the international statue project initiated by Dr. László Rosivall, president of Semmelweis Memorial Committee, in the framework of which a total of fifteen Semmelweis sculptures, made by renowned Hungarian artists, are inaugurated in different countries of the world. At the event Ludvik Toplak, President of Alma Mater Europaea, said: in the middle of the 19th century, Semmelweis, as head of the gynaecology clinic in Vienna, significantly reduced the proportion of mothers who died of puerperal fever, two decades before Louis Pasteur published his theory on microorganisms in infections. His methods contributing to the prevention of infections and hygiene made him one of the most important doctors as well as a humanist professional in Central Europe’s medical sciences, he stressed. 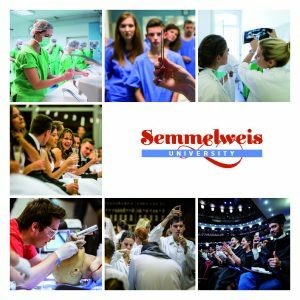 Semmelweis University decided to donate a bust for Alma Mater Europaea after the two institutions of higher education organized an international conference in Maribor in March in memory of Semmelweis. Alma Mater Europaea then donated the bust to the hospital of Maribor. The inauguration ceremony was attended by Edit Szilágyiné Bátorfi, Ambassador of Hungary to Ljubljana, and Árpád Mészáros, Deputy State Secretary for International Affairs and EU Affairs.